Aluminum and Plastic edged rollers: used to remove entrapped air from laminate. Can be cleaned using..
Thickening agent additive for resins and gel coats. Used to prevent sagging. Size: Gallon..
8 oz. 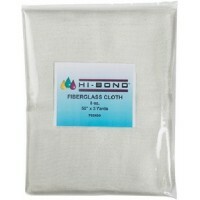 Fiberglass cloth with selvedged edges. For use with polyester and epoxy resin. Size: 50" x 3 y..
8 oz. 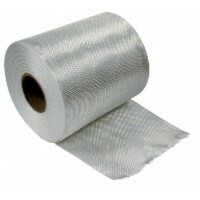 Fiberglass cloth with selvedged edges. For use with polyester and epoxy resin. Size: 38" x 3 y.. The most commonly used reinforcement for use with polyester or epoxy resins to create a fiberglass l..
1/4" fiberglass chop intended to be used in polyester resin to create high strength putty. Normally ..
For polyester resin and gel coat. Typical usage is 1 oz. of MEKP per 1 gallon of resin at 77..
Can be added to polyester resin create a putty that can be easily sanded. Size: Gallon.. 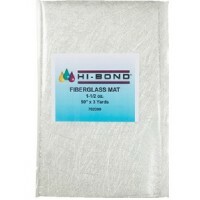 Heavy bodied filler used with polyester resins. Makes moderately strong and hard putty. Size: Quart.. Surfacing agents for polyester resins and gel coats. Creates a less tacky surface for easier sanding..
Cloth-like material for use where high strength is required. Commonly used in conjunction with fiber..